Yeah, so I spent the long weekend porting lazyfiend’s latest AI to the most recent version of DotA. Hopefully this will allow many of you who have been wanting to play the newest version of the map with some very well programmed bots. I’ve imported all of the 6.49c content to the best of my ability, and have updated the AI bots so that they properly get Power Treads (the Agility version, it makes it easier), Vladmir’s Offering, and Monkey King Bar, since the latest version changed the way these items were built. Aside from that, the AI has been unchanged, so it’s still prone to any bugs that may have existed in the 6.48b version. The AI probably has no means of determining how to play the new N’aix, and I didn’t try to make it do something with it. Fortunately RGB did add a way to force the computer players to repick if necessary, so be sure to utilise it if they pick N’aix. Additionally, the AI will not try to get Orchid’s Malevolence or Shiva’s Guard, so if you’re trying to figure out how to counter builds with these items, you’re out of luck unless you play online. Aside from that, I’ve added a little something special for everyone, but I’ll let you see that for yourself. It’s the product of a long project that got me into playing around with JASS and these maps in the first place. Just type in “-fun” to access the Fun Tavern and see for yourself. This is still AI+ version 1.52 because I’m not presumptuous enough to claim that I’ve actually updated anything. I just wanted to share this with the community because I feel like it’s something that everybody can use/want, and maybe to stop all the messaging to lazyfiend for a 6.49c AI+ map. So have fun and enjoy. If I do make any updates it will just be to the Fun Tavern, or to bugs specific to this version. Thanks to lazyfiend for his hard work on this AI. Revision 02: Fixed the texture on Templar Assassin’s Psionic Traps, they should show up properly now. Revision 03: Fixed the infinite bottle bug. Revision 04: Fixed the dummy unit casting bug (hopefully), Siege Golems when using supercreeps, and picking from the Fun Tavern when -fun is not activated. Revision 05: Zeus’s ult works, tree model restored, other tooltips corrected. AI Earthshaker now properly uses Fissure. Fixed bug with Bottled Runes. Added Old Silencer to Fun Tavern. -Changed the way AI dummy caster units work to prevent computer from controlling them and unnecessarily casting things they ought not to, which will hopefully fix the self-destructing AI problem. -Added Gambler to the fun tavern. -Thanks for the fast development BUFFMEPLZ and for developing the core ai LAZYFIEND! 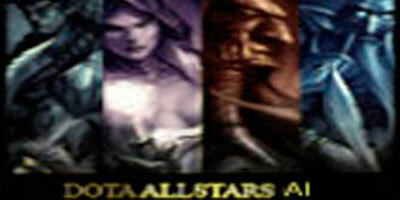 Download DotA Allstars 6.49c AI plus + v1.52 (Revision 07), use 7-Zip or WinRAR to unzip a Zip files. i like your writing style, very easy to understand. i will look foward your next post, keep it up. We tought that this was very nice article.